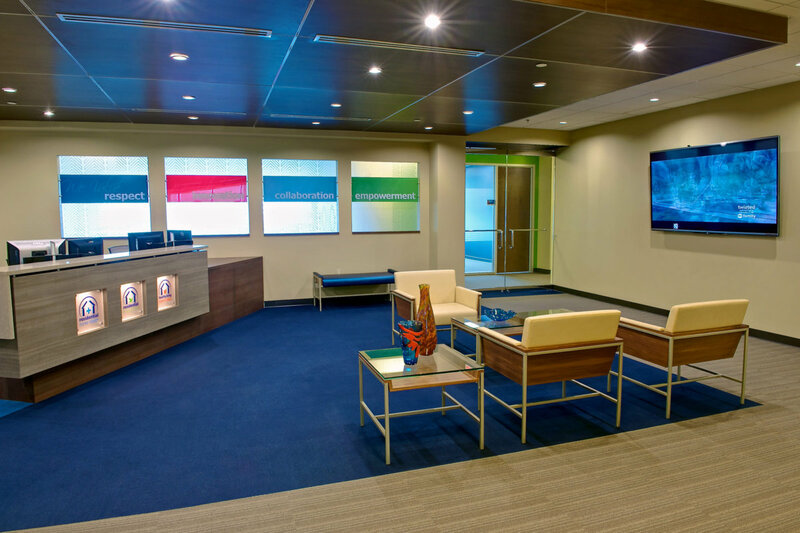 This quietly elegant three story office reflects the serious nature of the home health and hospice care agency located here. 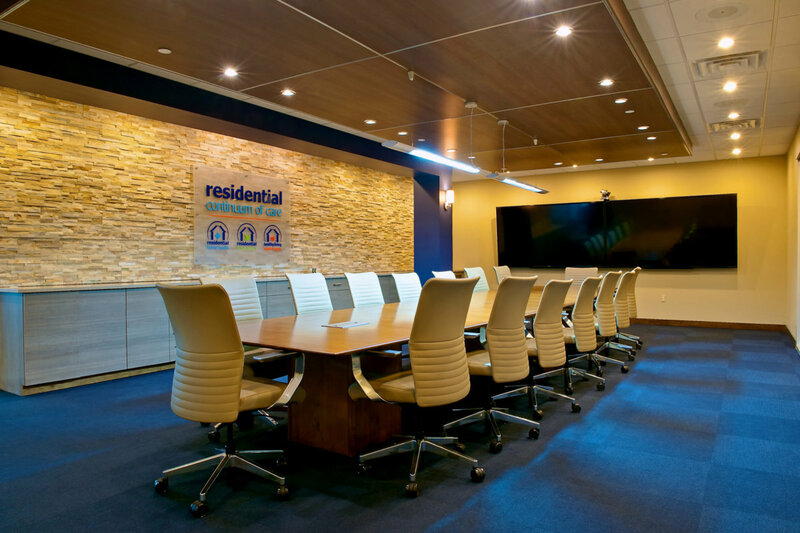 It is designed to accommodate the needs of a customer representative’s center, a training facility, meeting rooms and office space enhancing each area with a design profile suited to the area. 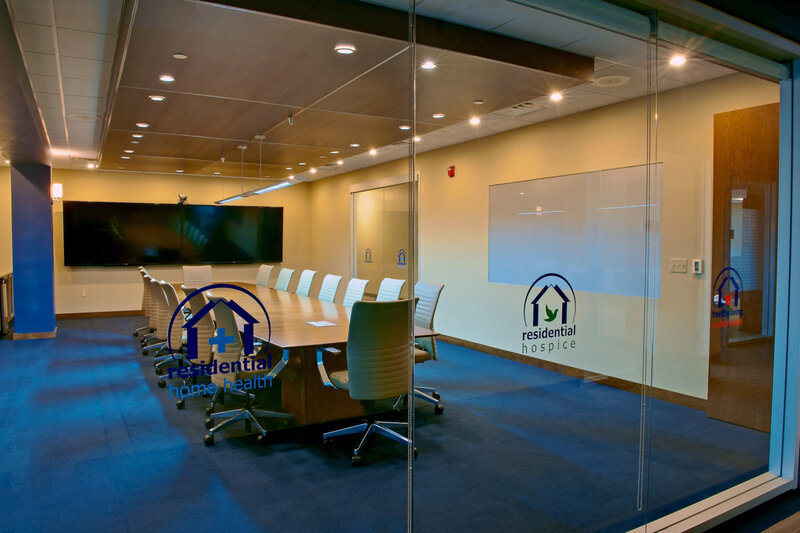 There is a spacious executive board room and lounge as well as smaller, private conference rooms and finally a “phone booth” that accommodates just two people. 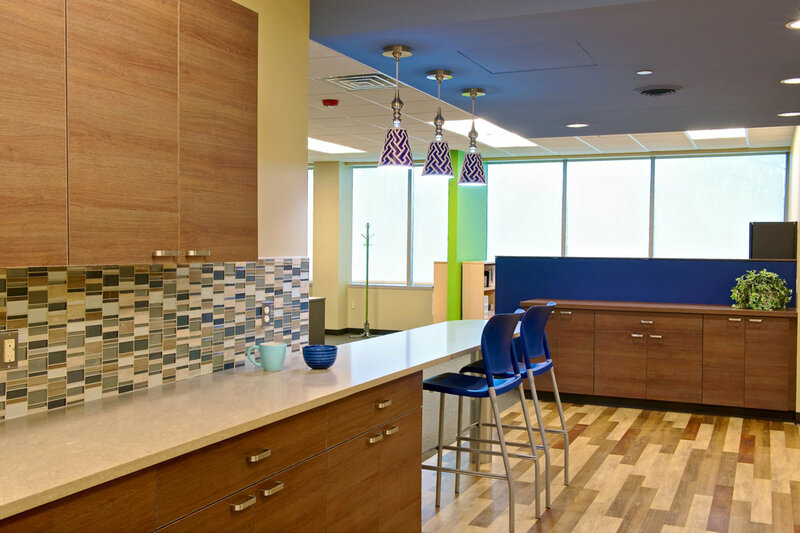 The break room and kitchen serve as a gathering place for all employees, both for meals, celebrations, and even the making of quilts for hospice patients. 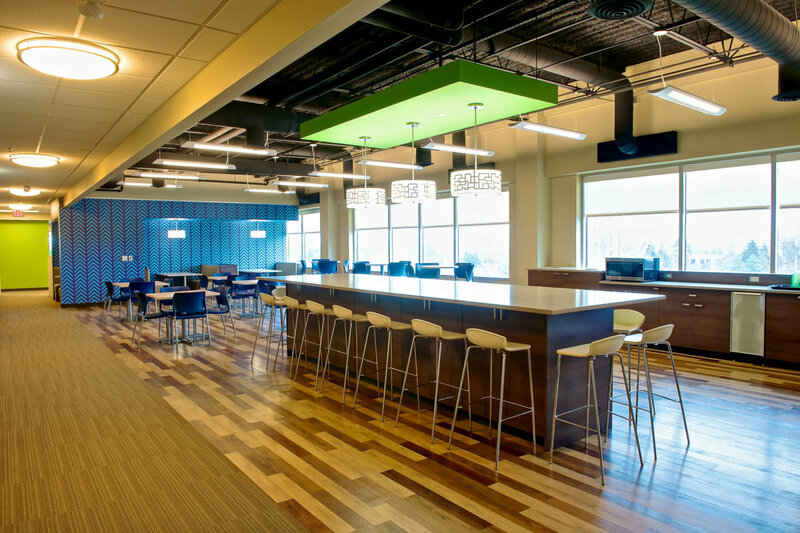 Warm wood, stone and natural colors provide the background for the color palate inspired by the corporate logo. 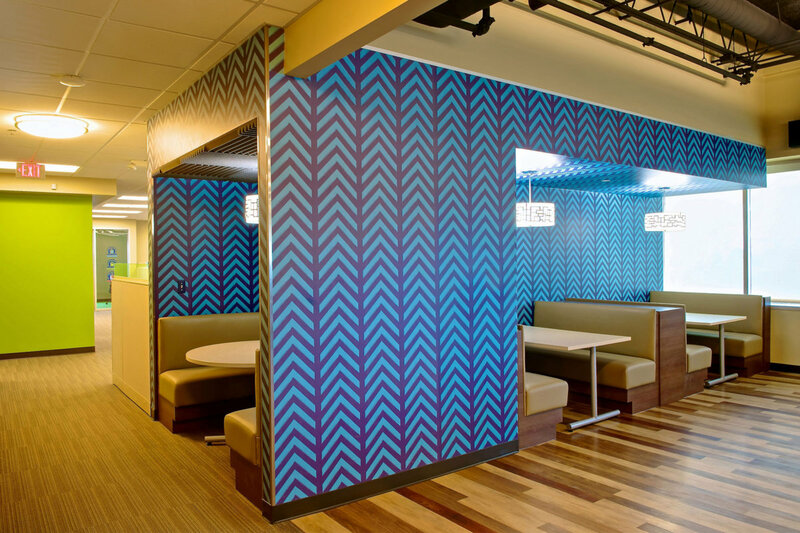 Blue, orange, and green are used throughout the office. 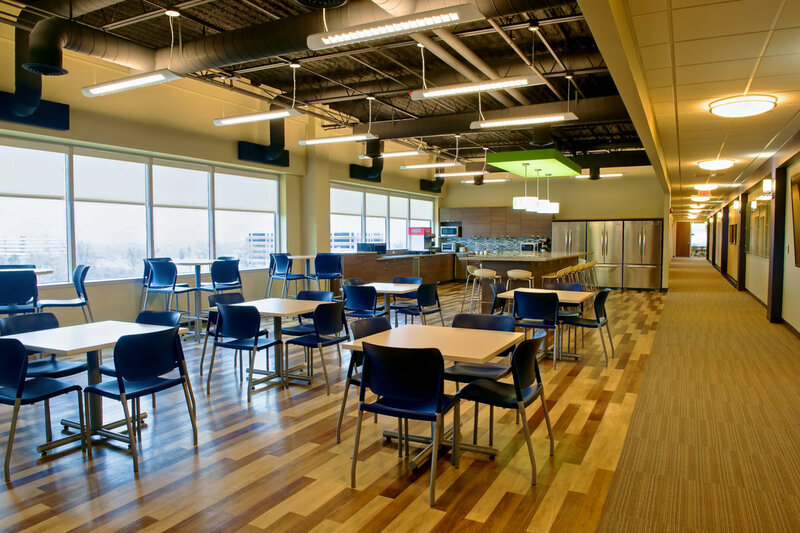 The office space is flooded with natural light providing a bright work environment for all.